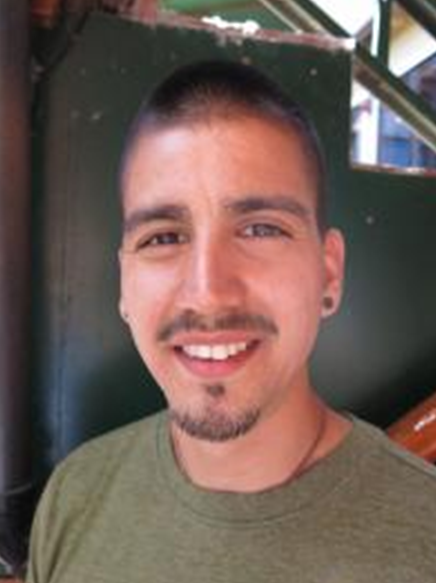 Gabriel Sanchez, a member of the McNair Scholars Program at the UO, attended the 40th national conference of the Society for Advancement of Chicanos and Native Americans in Science this fall and received an undergraduate research award from conference judges. Sanchez, a senior anthropology major from Ukiah, Calif., won the award for his presention of a recent undergraduate research project, which included a trip to the Smithsonian National Museum of Natural History in June. Congratulate Gabriel Sanchez on his research award. Sanchez’s research is focused on what is known as the Par-Tee archeological site in Seaside, Oregon. The site was excavated in the 1960s and 1970s and contains roughly 2,000-year old-artifacts from local indigenous populations. Excavations of the site are the largest to date off the Oregon Coast and yielded large amounts bone and antler tools. Among the artifacts discovered at the site was a humpback whale phalange with an embedded elk bone harpoon point, possible evidence of whale hunting at the site. Sanchez was investigating whether or not this piece of evidence, combined with blood residue analysis from several other harpoon points found at the Par-Tee site, could corroborate native oral histories that described hunting cetaceans (whales, porpoises and dolphins) and other sea mammals. As part of his project, Sanchez received funding from the office for Research, Innovation and Graduate Education, as well as from the College of Arts and Sciences, the Office of Equity and Inclusion, the division of undergraduate education, and the McNair scholars program to visit the Smithsonian National Museum of Natural History in June. Following his visit to the Smithsonian, the museum transferred several artifacts to the University of Oregon’s Museum of Natural and Cultural History, where Sanchez continued his work in collaboration with Archaeological Investigations Northwest Inc., in Portland Oregon. Ultimately Sanchez could not confirm the native oral histories that described hunting of whales. But Sanchez was able to confirm that the leister harpoon technology within the site, often associated with fishing, had been used within the last 2,000 years to hunt salmon, trout and steelhead at the Par-Tee site.